On the second day of our Mad about Vintage series, we look at the affordability of vintage fashion and how you can spot a quality garment hidden beneath a pile of second-hand knock offs. 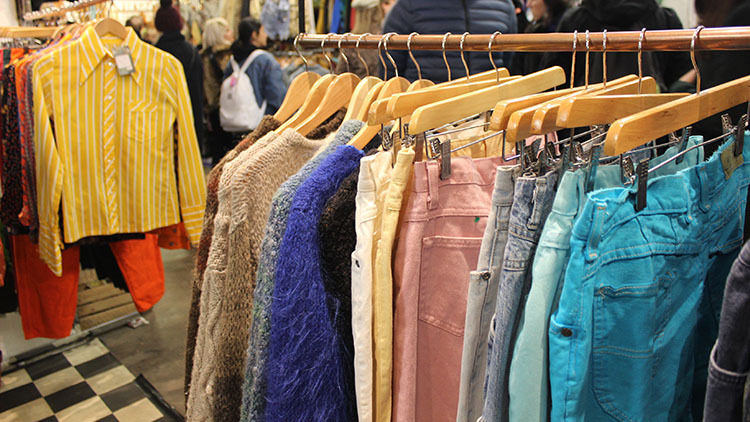 In this how-to guide, we offer practical advice on how to shop affordable and quality vintage garments in east London. 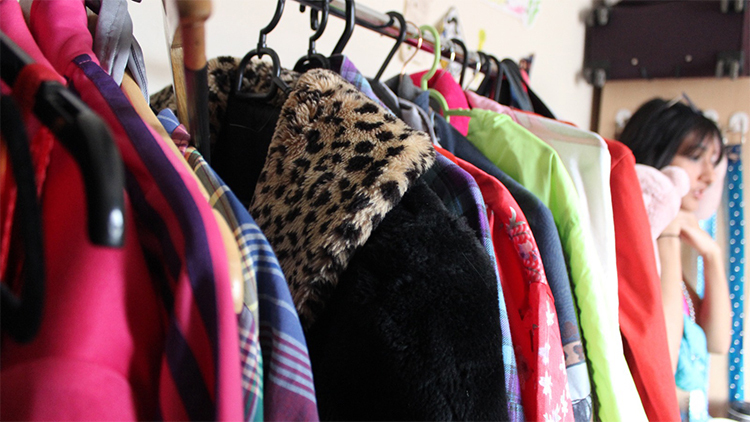 What’s the difference between proper vintage clothing and used clothes? 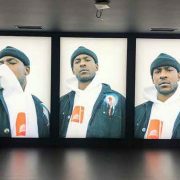 What’s worth shelling out for? Most people in ELL boroughs are only willing to spend £30-£50 on a single vintage garment. 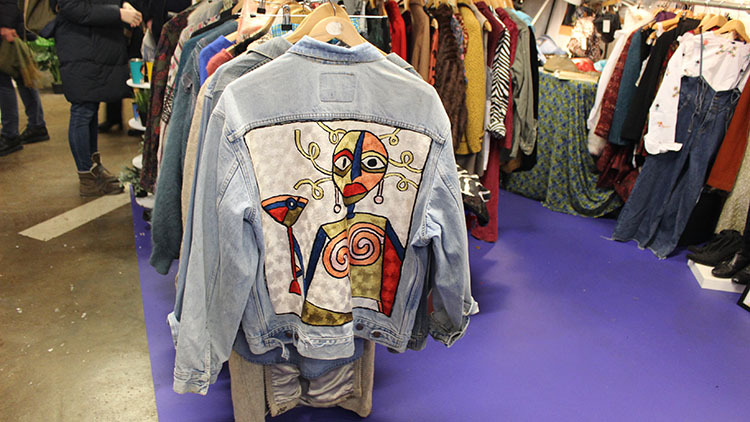 But with vintage jackets and jeans setting us back more than £60 in some cases, how can you shop vintage smartly and find something that will suit your shape? To answer these questions and more, we did some research and enlisted the help of some vintage professionals. If it’s in a vintage store then there should not be those obvious thrift items that you can pick up in a charity shop. Vintage items are special and should stand the test of time. Unfortunately, some vintage stores do sell used clothing that has no real historical or cultural significance, or interesting provenance. 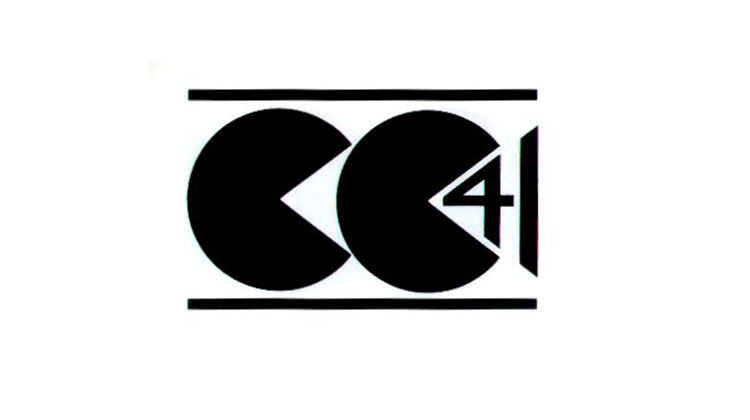 Clothes with a “CC41” utility mark on them are particularly unique and can be collectible. The mark can be found in garments that were a part of the Utility Clothing Scheme which was introduced towards the end of 1941 by the British government for clothes that were of good quality but affordable. 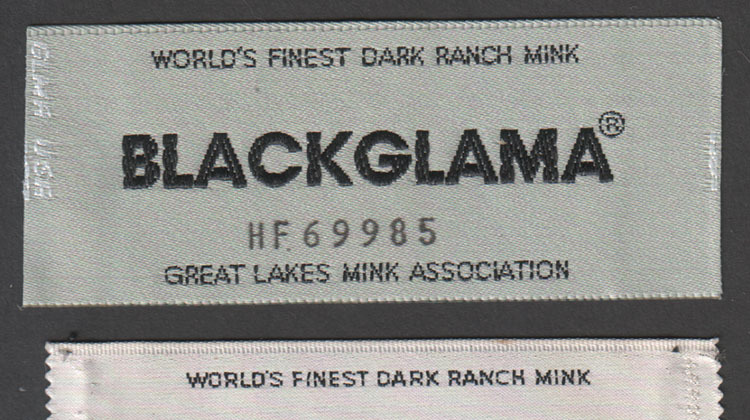 Tags for clothes were only added towards the 1940s/1950s and only contained basic information such as the designer logo or the manufacturer’s name. By the 1970s, labels included the fabric type and garment size. In the 1980s, labels included even more information such as care instructions and the country it was manufactured. From the 90s, tags had all the information we see on garments now including translations into other languages. Pre-60s clothing was usually made from rayon, silk, and taffeta whereas 1980s items were made from materials such as polyester and lycra. Garments made before the mid-60s had metal zippers, side-snap closures, pinked seams and union labels printed in blue. Trying clothes on in vintage shops can be tricky. The best thing to do before purchasing vintage clothes in stores or online is to measure a piece of clothing which fits your body well. Clothes from the past are sized differently and so vintage fashion sites will often describe the measurements rather than give a size. Pre-1960s fashion was often handmade or tailored so there is unlikely to be a label. Recently, I found a pair of Levi jeans in a vintage shop in Shoreditch for a tenner. 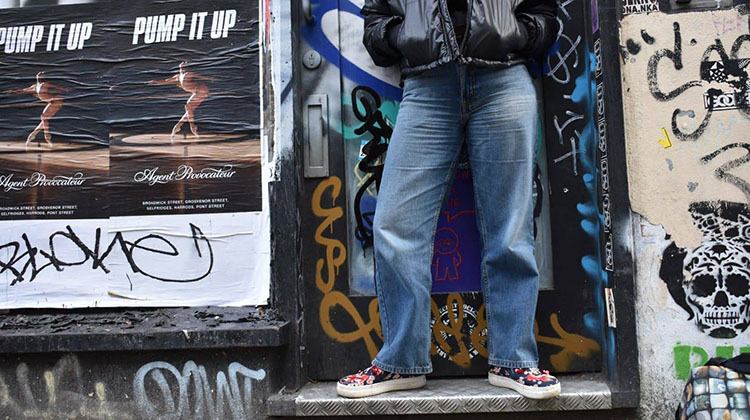 I was specifically looking for a pair of these coveted jeans around Brick Lane but found that certain styles and fits were more popular and so the price was pushed up. 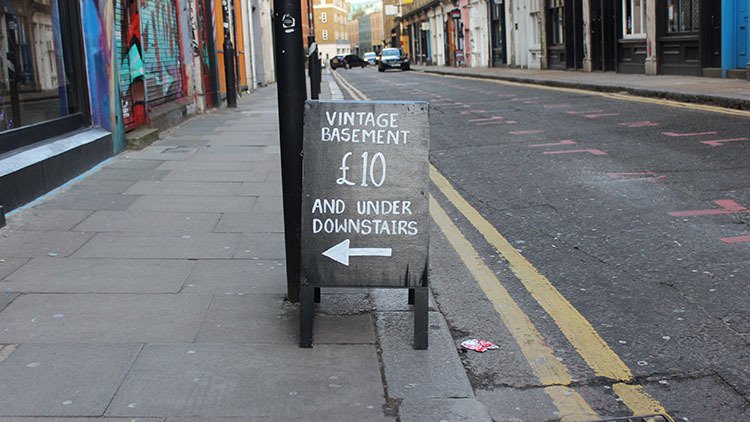 After visiting the Vintage Basement on Brick Lane, I found my perfect jeans tucked away downstairs in their sale section where every item was a tenner or less. My perfect jeans were straight and short in the leg with a faded stain down the front. They were affordable because they were imperfect and unfashionable. A decent vintage store will have washed and repaired each garment but this isn’t always the case. When you find your desired item, look for any small holes caused by moths or any loose threads in the seams. Look for repairs, which can indicate something that is likely to break again. 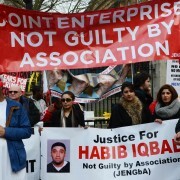 Also, look out for stains and marks which may be ingrained and hard to remove. Warning: sale sections and bins can sometimes have quite a few damaged items so be wary. I once bought a vintage item with multiple holes in the seams because I did not check it in the shop. Learn from my mistake. If a bag comes with an authenticity card, that does not always make it genuine. According to Racked, Louis Vuitton and Hermés bags don’t have authenticity cards and so sellers can lure customers in by saying they have them. Other signs include the font size, the typeface used for the bag number and the use of holograms. A lot of authenticity cards just have gold trim. Also, look at the label on the inside of clothes and bags. The top of the brand’s text should be parallel to the stitching at the top of the label. Product inspectors would not let a product leave the warehouse like this. Another key aspect to look out for is stitching. Fakes will often have stitching which does not match the stitching of the item itself. Check the lining and look out for inconsistencies. Don’t splurge on a whim. It’s important to know how to recognise what makes an item valuable and collectable. Before you shop, you should know how much couture and designer items could set you back. The best way to educate yourself is by asking local, high-end vintage stores or vintage dealers. You’re more likely to get used items rather than vintage items in charity shops but you could find the odd gem. 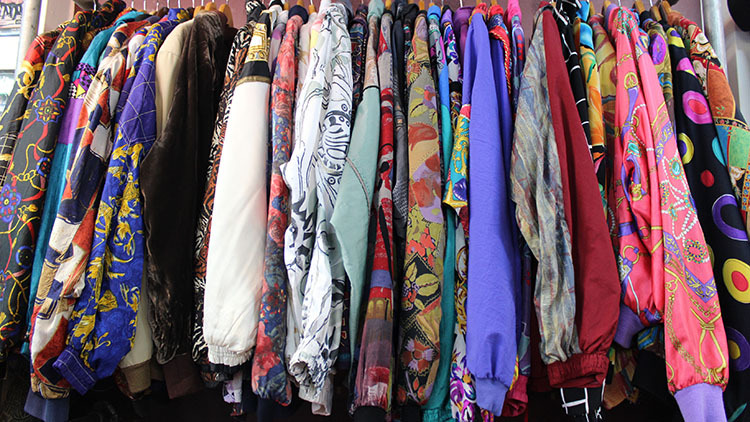 Unlike vintage shops, charity shops are less likely to be as clued up on labels and will charge less than a tenner for something worth a lot more.